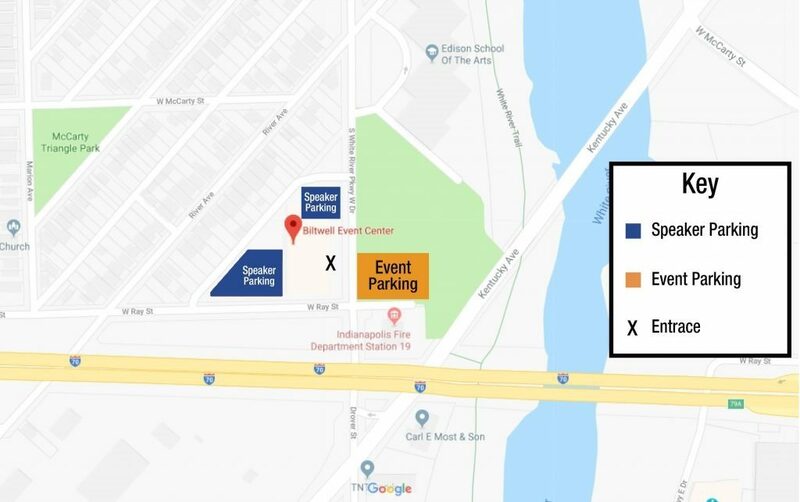 Speaker Parking is the north or west lot. If you are facing the Biltwell Event Center entrance, parking is to the right or in the back. Event Parking is the east lot. It is across the street from the Biltwell.